This document talks about CSS selectors. If you're not sure what those are, check out this guide on CSS Selectors. Hotspots or tooltips may not appear if our SDK cannot identify the specific elements which the hotspots or tooltips are set to attach to. If you place a tooltip or hotspot on an element that doesn't exist in all instances, your flows will not show up when those elements don't appear. 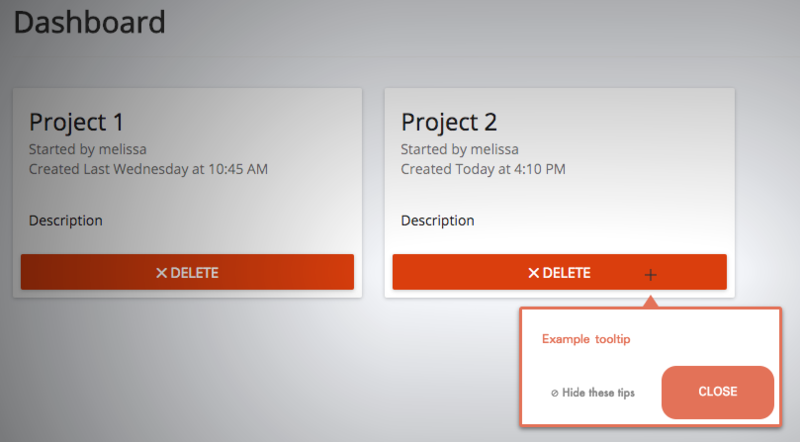 For example, in the image below we have a tooltip placed on Project 2. 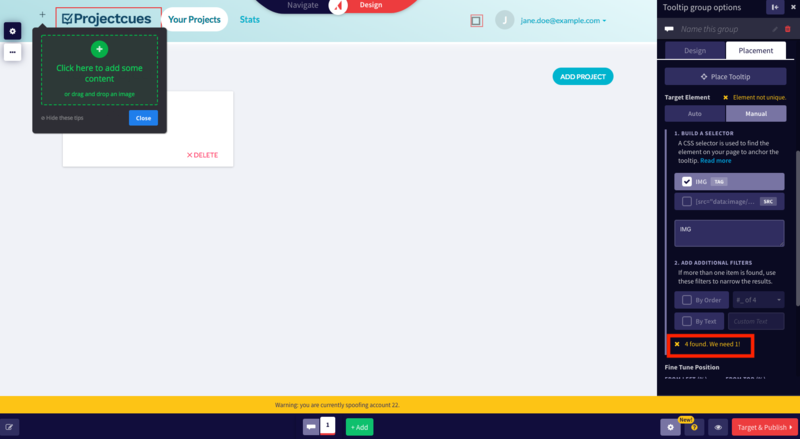 If a user doesn't have two projects, the tooltip would not appear on this page as it would be seeking a CSS selector for the second project. In order to get your tooltips/hotspots to display properly, remove the auto-generated portion of the CSS selector. You can also select By Order if you have multiple objects with the same CSS header! Messaging in the Element Selector will alert you that your selector, whether inputted automatically or manually, is 1) unique and valid, 2) valid, but not unique, or 3) not found. Choose a selector that is both unique and valid. 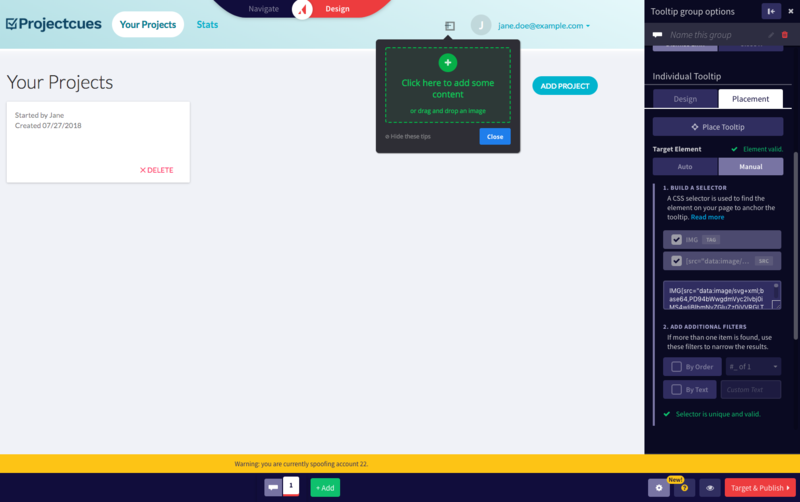 Save your new selector and preview your flow to make sure it works. Another thing to keep in mind is that a selector may be slightly different when someone looks at a part of your page in its empty state (vs with it populated). So be sure to run through the flow with a clean slate as a new user would and ensure that the selector is the same in both states. Usually, we find that in this case, there is some part of the selector that is consistent.